Update: This Newsfeed is no longer being updated. It appears that the publisher of Dirty Linen, Visionation, is not interested in continuing this Newsfeed. 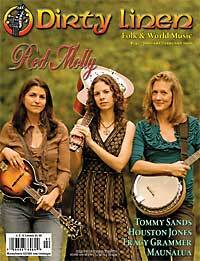 Dirty Linen is the magazine of folk and world music. Published bi-monthly for over 25 years, the magazine is available at bookstores and newsstands such as Borders and Barnes & Noble, as well as via subscription. The six issues per year come with three “Editor’s Choice” sampler CDs that include a cross-section of the music covered in the magazine. The Dirty Linen Listener’s Guide, which features music from the current issue of the magazine, is broadcast bi-monthly on Sirius XM Satellite Radio. 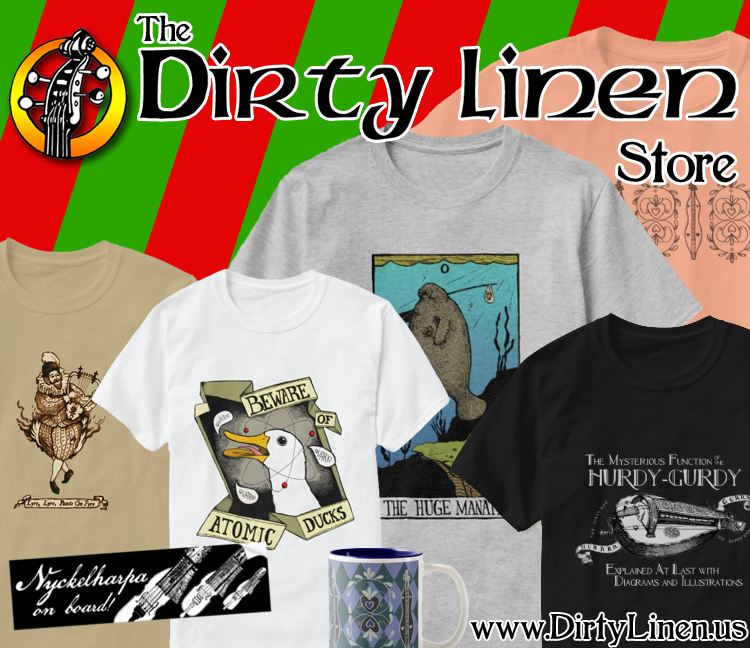 Contact the editorial office at 410-583-7973 or office@dirtylinen.com. For Dirty Linen magazine subscriptions and back issues, contact the business office at 1-866-702-7778 or accounts@dirtylinen.com, or order from our webstore. Most of the content on the Dirty Linen Newsfeed is not written by Dirty Linen staff. We are sharing many of the press releases we receive that would be out of date by the time the next print edition of Dirty Linen is published, or we don’t have room for in the print edition. The source of the press release is acknowledged at the bottom of each post. I am involved in promoting Iain Matthews (of Fairport Convention) at Maxwell’s, in Hoboken, NJ, on Monday August 16, 2010. The admission is $15, it is a seated show and Iain is appearing solo and with no opener/support. Advanced tickets available through http://www.ticketfly.com. I can be reached 24/7 at (201) 709 -1732. Tell everybody, please…Thank you. I have been a subscriber for a number of years, but now wish I had never renwed, for two years. I have had one issue since I did so. Needless to say I won’t be bothering again, and I will be contacting my credit card company to get back the money I paid, in advance, for a service that hasn’t been provided. I did try calling the number you suggest, but got a pre-recorded message telling me the extension was unavailable, and to leave a message, which I did. I don’t hold out any hopes of a response! The policy of Visionation to charge people’s credit cards and not send them anything is one of the many factors that led to us having to leave. You may be able to dispute the charge with your credit card company.